Jack Wilkinson, 25, is a Graduate Development Engineer at OAL, having joined the company straight out of university. At 7:00 am – the first thing I do is make a big bowl of porridge. This keeps me full of energy throughout the day. I then take a shower to wake myself up and head out. I live close to the office so only have a short commute, which is a real bonus. Developing the APRIL Robotics Ingredient Handling system. 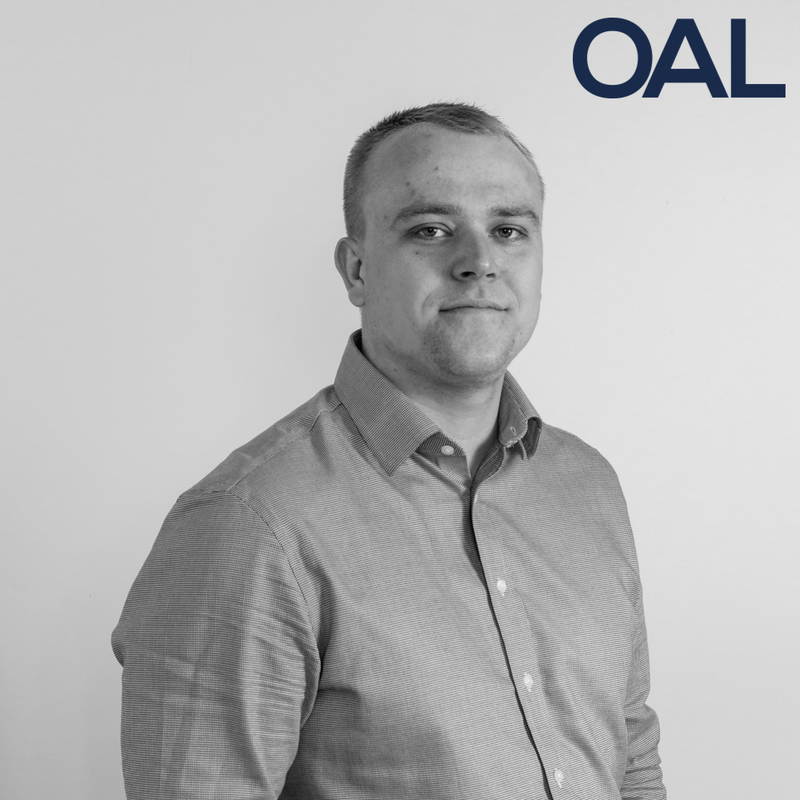 I started off at OAL as a ‘Jack’ of all trades, carrying out mechanical design, prototyping and software development. However, I’ve recently established more of a focus on software development, which involves writing code for robots and controllers as we expand the capabilities of our systems. In addition, I get involved in ideation and testing different concepts to help the team push our robotic capabilities beyond the boundaries of what’s currently possible. I also give demonstrations to customers and show them how the system works when they visit our test area to find out more about our innovations. Thanks to the robotics projects and modules that I took during my Mechanical Engineering degree. Once I got the exposure to this side of engineering, I realised I wanted to pursue it as a career. After graduating I searched online for companies in the UK involved in robotics and automation and I came across OAL. I thought the work they were doing looked interesting, so I sent them a cover letter and CV and I was then invited down to OAL for an interview. Fortunately, I got offered a job! Starts with a short stand-up meeting where everyone in my team summarises what they’ve been working on, any issues they’ve had and their plans for the day. It’s a good system because it means issues get resolved quickly and you can get an idea of what everyone else is working on and how your work fits in with the whole project. We usually choose a software feature to work on, so I work on this and test it out to see how it solves the latest challenge. Was when during testing, we crashed our 425kg robot at full speed! This can be scary as the robot moves so quickly but it’s par for the course when carrying out tests and the robot is fenced off so nobody can get hurt. Working in a cold warehouse during the winter months. Luckily, most of the time I only need to be out there for short periods of time to do some testing. Seeing the project progress. It’s great to see something you’ve worked on evolving and improving over time. Whether it’s adding new functionality or getting something to work, it’s nice to see the results of your efforts. I drive home and relax, this could either be by watching a film, reading a sci-fi novel or playing a video game. Like the sound of what Jack gets up to? Why not explore our career opportunities? We’re always on the look-out for great employees. If you’re interested in joining the team, get in touch today.